I hardly make modifications to my 2001 Honda Prelude Type-SH. Short of the AEM V2 Intake I installed back in ~2003, I haven’t done much to it except regular maintenance and parts replacement as needed. But I recently decided to swap out the shift knob. The original factory leather knob was still usable, but quite worn down. The surface was smoothened out due to over a decade of usage. The imprinting of the standard-H gear positions on the knob were pretty much worn away. Rather than replace it with a Honda OEM knob, which is shockingly ~$150, I went with the Skunk2 Racing shift knob. The billet stainless steel construction and the extra weight on the knob looked appealing. 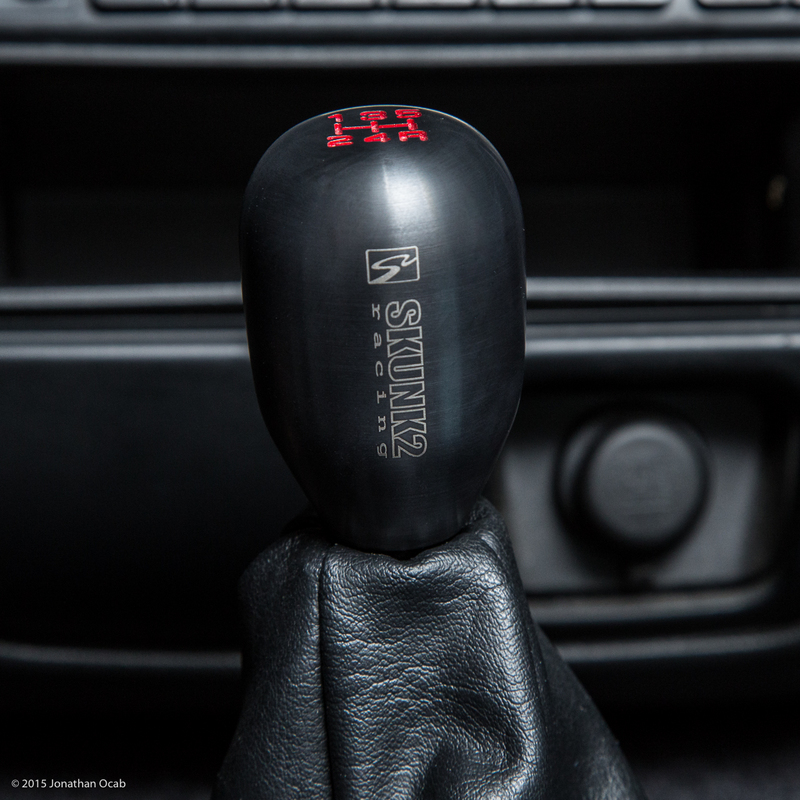 Plus, the cost of the knob was significantly cheaper to the Honda OEM, at $58 MSRP. The Skunk2 knob comes with a nut that threads on to the shifter first, and bottomed out on the shifter. The shift knob is then installed on the shifter and threaded all the way down until it hits the indexing nut. 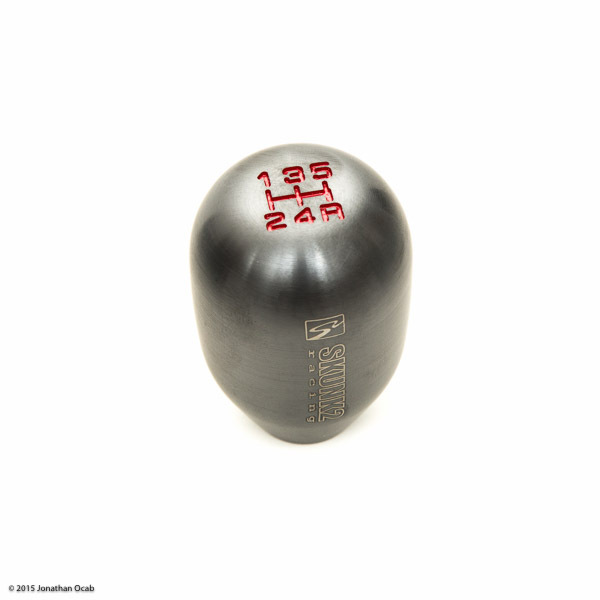 The knob is then backed off until the lettering on the shift knob are oriented as desired, then the nut is backed out until it hits the knob. Both are then tightened against one another. While swapping a shift knob is technically only a one minute job of unthreading the old knob and threading on the new knob. I ended up taking an extra 30 minutes to deal with the shift boot. 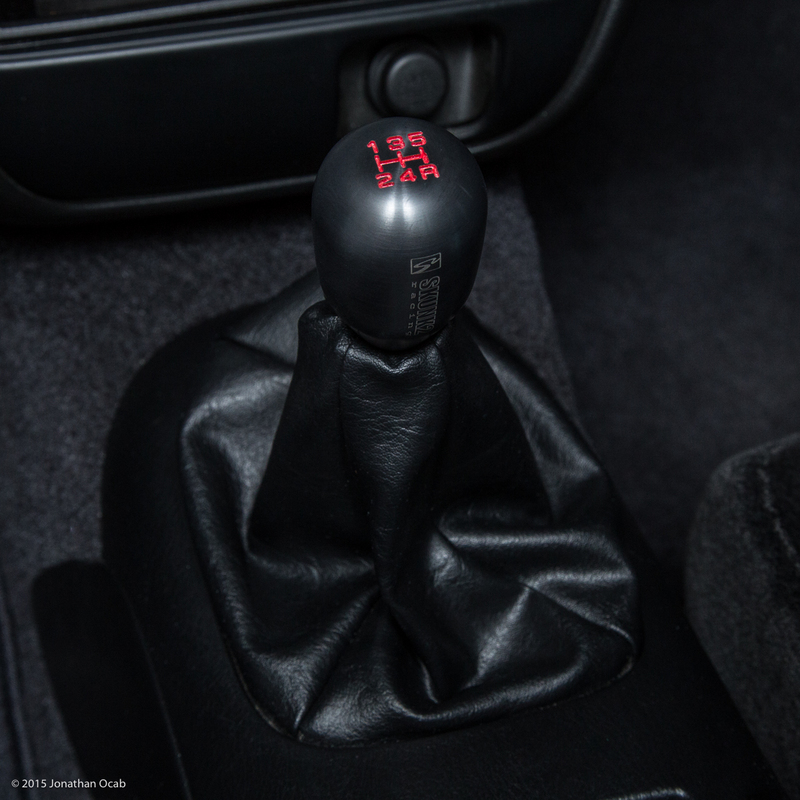 The OEM shift boot on the Honda Prelude is actually attached to the OEM shift knob via a clip on the bottom of the knob and a plastic collar on the top of the boot, thus keeping the boot flush with the knob at all times. This plastic collar is actually attached to the top part of the shift boot via a zip tie (from the inside of the boot; not visible). Since the Skunk2 shift knob is a ‘universal’ part, it doesn’t have the clip on the knob, and thus, the shift boot will simply hang freely. In order to deal with this, I bought a shift boot adapter from Strut King, which essentially replaces the collar in the OEM shift boot, and replaces the ‘indexing’ nut that comes with the Skunk2 shift knob. So I basically spent about half an hour taking off the center console, so I could clip the zip tie holding the OEM shift boot collar, then installing the Strut King shift boot adapter, not to mention cleaning up the center console while it was uninstalled. After that, I had the Skunk2 Racing shift knob installed with a clean look, flush to the shift boot. Note that the color is what would be considered ‘gunmetal’. It’s a medium grey, not so much black, not so much brushed stainless steel. In bright light, it’s going to look more silver, but in darker conditions, it will look dark grey. The knob itself is actually pretty nice. The shift throw seems to have some ‘assistance’ due to the heavier weight of the knob. I guess my one concern is how hot the knob will be to the touch during the summer months when my car is parked outside for a few hours. But that will remain to be seen come July/August in Southern California.